My annual Christmas shopping excursion always leads me to one place: Powell’s Sweet Shop. To me, it’s the ultimate example of successful franchise branding. Macy’s still holds some appeal during the holidays, and Ben & Jerry’s in the summertime. But Powell’s resonates with me on a completely different level. To me, it’s a mood-altering drug. It’s virtually impossible to leave Powell’s without feeling warmer, younger at heart, and at least a little giddy. It’s more fun per square foot than any store I’ve ever seen. 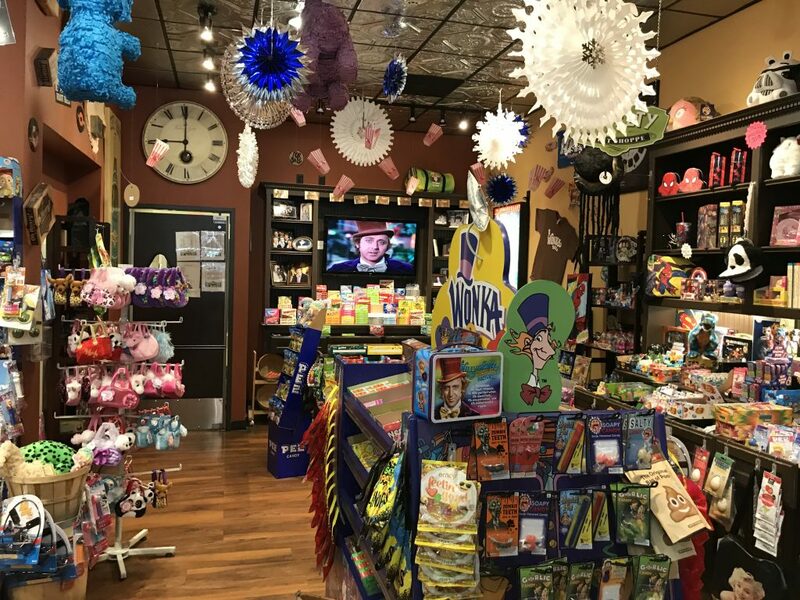 They are banking on the power of nostalgia to sell everything from collectable lunch boxes and pez dispensers to gelato and old-fashioned candy. They have all the brands you haven’t seen since childhood, and all the flavors that linger in the palette of your memory. Powell’s is a store full of stories. And vivid, authentic stories are the main ingredients of success for franchise branding. As I browse through Powell’s, or even just peer in the window, the stories come flooding back… My little sister, hair in braids, eating Fun Dip in the back of the station wagon. My older sister hording her tube of Flicks. The penny candy selection at Jack’s Country Store. The red, black and purple licorice I loved so much at summer camp. That stuff sticks with you. Powell’s always has Willy Wonka playing on the TV in the back of the store. But Powell’s triggers more than just memories. It also triggers the imagination. It ignites the senses and conjures a latent, childlike creativity in us that gets beaten down by the demands of modern society. Maybe that’s why go back every year. Maybe that’s why I want to linger so long. It’s not just satisfying my sweet tooth, it’s filling a need for creative inspiration and optimism. I can feed off the energy of the kids and the delight of the parents. There’s laughter and smiles and buzz you just don’t find at the Starbucks next door. There aren’t many brands that can honestly say that. So what can you learn from a little candy store in downtown Bend, Oregon? You want customers to tell stories about you. You want products and service that create lasting memories. You want positive word-of-mouth that’s more powerful than anything you can say yourself. Interestingly, the nostalgic theme of every Powell’s store seems to work equally well on children. Because the appeal of it is timeless. The candy that we thought was so cool, still is. The element of surprise and the sense of discovery works just as well now as it did 30 years ago. That’s why brick and mortar retail stores will never go away… they can deliver a sensory experience that can never be duplicated on the screen of your phone or computer. It’s the cumulative effect of the smells, the sights, the colors, the selection, the sounds and the flavors that trigger that flood of fondness. 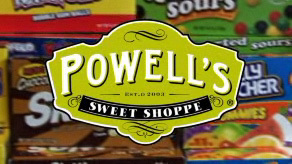 So if you’re trying to build an unforgettable retail shopping experience, I’d suggest a visit to Powell’s Sweet Shoppe. Just soak it all in, eat some sweets, and see what happens. For more on ecommerce, try this post. 7 Marketing lessons from GM — Will a $30 billion bailout buy them some focus? There’s no doubt GM’s failure would a terrible economic blow. Those jobs would be sorely missed, but would anyone miss the mediocre brands that GM’s been consistently producing for the last 35 years? I don’t think so. Other than some loyal Chevy truck fans, consumers won’t miss a beat. Let’s face it. GM has been losing ground slowly but surely since muscle cars were killed by the oil embargo of the 1970’s. If congress looks at the situation from a marketing standpoint, they wouldn’t cough up a dime. According to Automobile magazine, “it’s been 50 years since GM built a car that was the standard of the industry in any category.” Overall, GM products have been poor in all respects, from design and driveability to safety and fuel efficiency. I believe that GM’s quality issues and their current financial crisis is a direct reflection Alfred P. Sloan’s famous, flawed strategy of “a car for every purse and purpose.” Sorry, but quantity over quality just doesn’t work in the modern automotive industry. GM’s business model for the past 30 years has been built around the assumption that they can keep making money off products that are unremarkable, at best. But even when you’re as big as GM, you can’t be all things to all people. Over time, that lack of focus is going to kill you. While Honda, Toyota and Nissan were dominating that market in the 80’s, GM introduced The X-cars… the Citation, Omega, Phoenix and Skylark. Yikes! Those weren’t economy cars, they were just awful, underpowered sedans. GM fumbled around for 20 years trying to build a small car under the wrong brand: Cadillac. Remember the Cimmeron? It’s on Time Magazine’s list of the worst cars ever built. And the Catera, “the caddy that zigs.” The advertising was unbelievable and the product, unbelievably bad. For consumers, a small, sporty Cadillac just doesn’t compute. Then there was Saturn, GM’s great hope of 1990. Nothing in the history of GM could match the enormity of this brand’s launch. They built a state-of-the-art manufacturing plant in Springhill Tennessee. They opened a new dealer network and adopted innovative new marketing and customer service programs, including a policy of “no haggle pricing.” To their credit, they did everything differently in order to compete with the Japanese. Despite the plastic body panels, Saturn succeeded for a while. The cars were affordable, and they even won some industry accolades in the subcompact category. Unfortunately, GM starved that division of cash, kept them from launching new products for 10 years, and now is contemplating a shutdown of that brand. So they can’t compete in the small car market. But what about GM’s bread and butter categories, like vanilla-flavored sedans? Unfortunately, they’ve even been losing on that front as well. The Ford Taurus was the best-selling car in the country for years, followed by the domestically produced Toyota Camry. In the meantime, The Oldsmobile brand limped along for years before GM execs finally pulled the plug in 1999. They tried all sorts of marketing ploys to save it, including more than a dozen different slogans for the brand over a 15 year period. They did everything BUT build a car that appealed to anyone. GM missed the boat entirely on the minivan craze, and they were slow to market with their SUVs. (But no one will deny the success of the Suburban.) GM actually had the lead in green technology in the late 90’s with the EV1 electric car, but they pulled the plug on that for short-term financial reasons. Now, while the Toyota Prius flies out of showrooms, GM’s playing catch-up yet again with the Chevy Volt. The volt is not a hybred. It’s actually an electric car, leaps ahead of Toyota in the green car game. It plugs in and it looks racy too, but it might be too late to the starting line. Hmmmm. How can a car be “not relevant” in the market, but hopeful? And why does the mainstream press assume that GM will suddenly “start building fuel efficient cars that people want to buy” as soon as this bailout comes through? They haven’t done it yet. And no marketing blitz or government bailout can turn a lousy product into a branding success. There’s an old saying in advertising circles… “great advertising just kills a bad product faster.” Sadly, GM’s history is littered with products that died fast, deserving deaths.